... these tips are perfect for you. I have put together my VERY BEST 7 tips to Boost Your Fertility. For FREE. No charge. Nothing. Zilch. Nada. My online programme 7 Steps to Boosting Fertility supports trying to get pregnant naturally or via IVF. It is full of practical tips to start straight away ... because we can make a big difference to our health pretty quickly with lots of simple steps. 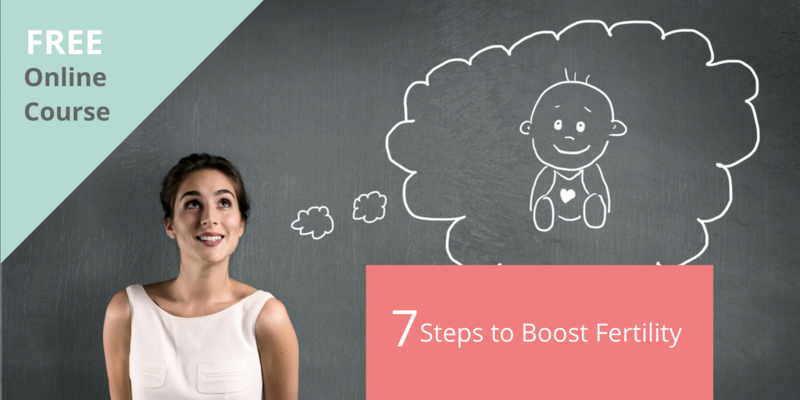 I think everyone should get baby-ready and I share WHY in 7 Steps To Boost Fertility. It really is loads of value. If I was selling this I'd be charging £79. It's yours free. With my love and very best wishes and BABY DUST. You get access to the full course at the start via e mail and it's really easy to use. No tech geekery needed. Just a computer. Watch the videos and read the notes in a private online classroom - no-one can see you there. Even listen with headphones so no-one knows what you're listening to. Learn at your own pace. In your own time. Discover details of my private online info and support group Footsteps to Fertility - because I totally get the need for privacy, understanding and support. Sign up right here, right now. And start learning ways to boost fertility straight away. See you in the private group very soon.